Gain the Unfair Advantage. Keep Your Team Safe. Throw the camera through a window, toss it into a barricade, or roll it down a hallway. As it goes the camera records stable 360/VR video so multiple users can be covering and recording all angles simultaneously. Clearing attics and crawlspaces can be among the most dangerous of operations for teams. Many officers have been shot as they entered and attic or as suspects shot down through the attic floor. 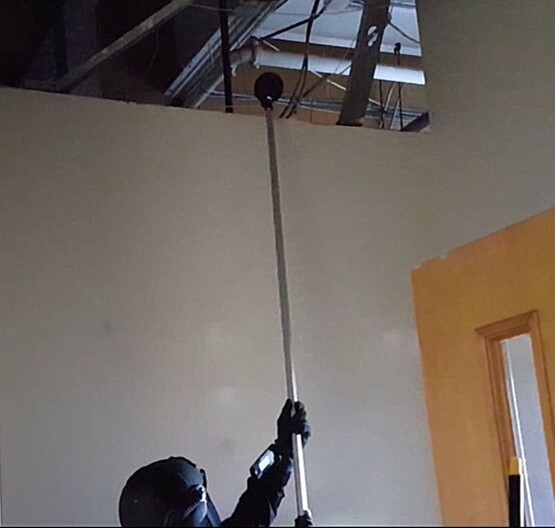 With a 360 camera, you can prop up the system on a painter's pole and quickly back away, then scan around establish situational awareness from a safe distance. Stairwells are notoriously difficult to clear - some of our teams have faced a persistent problem of armed suspects hiding underneath the landings and getting a shot off before the team can make the turn. Our cameras stay stable even while spinning on a rope, letting you clear floor by floor from a position of safety before sending anyone down.